Gregory O'Shea (8') and double conversions from Billy Dardis. Jordan Conroy further extended Ireland's momentum with an early second half try while Terry Kennedy also touched down in the 14th minute that took their tally to 28 points before Thomas William McQueen scored a consolation try in the 13th minute as they succumbed to a 28-7 defeat. “We're just delighted with this,” said captain Dardis after the game. 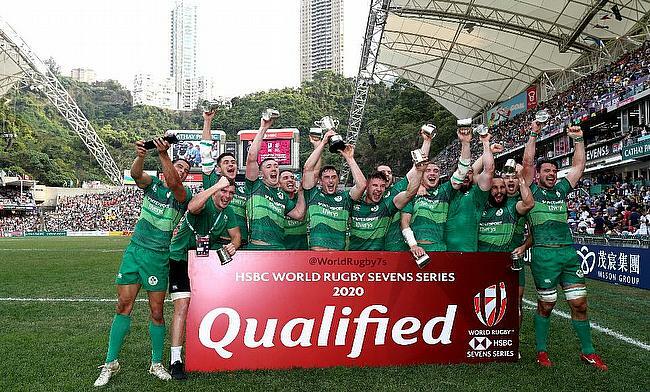 Earlier, Ireland dominated Pool F which they topped and defeated Russia 47-0 in the quarter-finals and Germany 10-19 in the semi-final to set up the final with Hong Kong.